Explanation: Beginning with a full view of beautiful spiral galaxy M81, follow the insets (left, bottom, then right) to zoom in on a real survivor. Seen at the center of the final field on the right is a star identified as the survivor of a cosmic cataclysm -- the supernova explosion of its companion star. Light from the cosmic blast, likely triggered by the core collapse of a star initially more than 10 times as massive as the Sun, first reached Earth over 10 years ago and was cataloged as supernova SN 1993J. 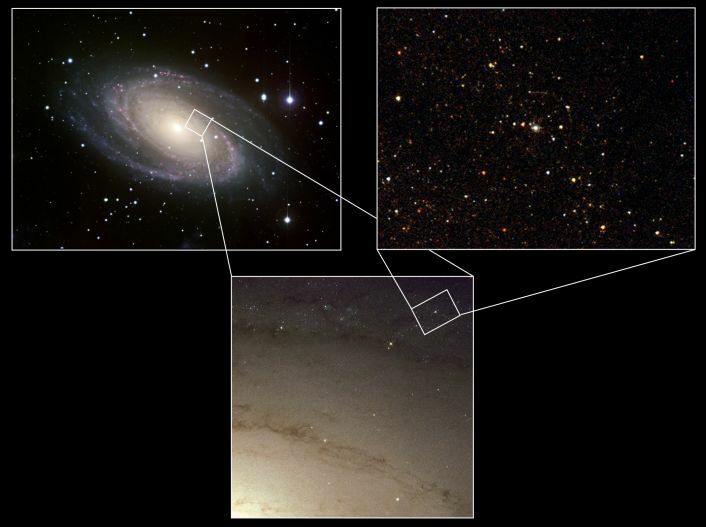 Though the supernova itself is no longer visible, light-echoes from dust in the region can still be seen near the companion, the first known survivor of a supernova in a binary star system. Astronomers believe that a substantial transfer of material to the surviving companion star during the last few hundred years before the stellar explosion can explain peculiarities seen in this supernova. 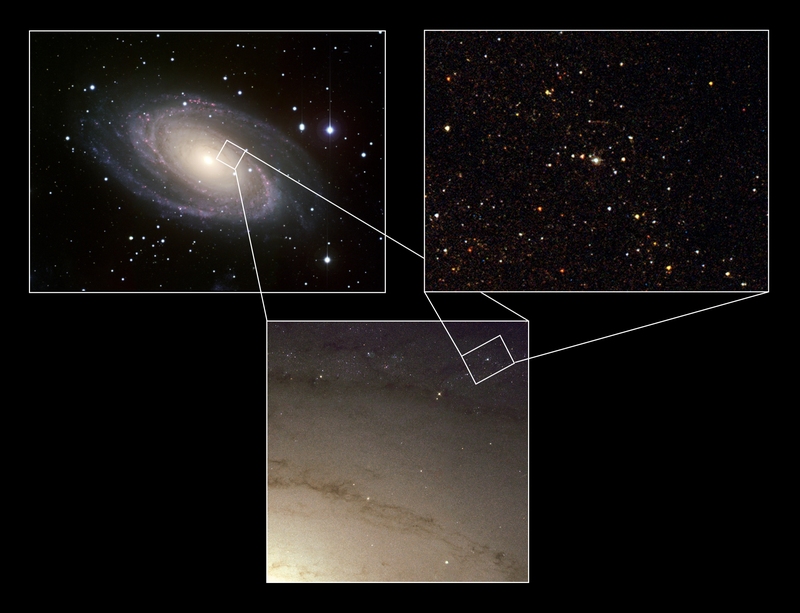 After supernova SN 1987A in the Large Magellanic Cloud, SN 1993J in nearby M81 is the brightest supernova seen in modern times.